BeagleBone Black takes a central role in many developers' approach to connecting devices to the Internet. This is mostly thanks to its high-quality support of Linux, high-availability, frequent use as a reference platform, and extensive I/O capabilities. Google's Dart language is running nicely now. Canonical announced support in Snappy Ubuntu Core for Internet Things. There is an uncountable number of available IoT frameworks. All these possible ways to shortcut your design keep getting shorter. Still, learning all the relevant skills can still be rather time consuming. Fortunately, it is great to see thought leaders like Brian DeLacey with other technology enthusiasts around Cambridge and Boston explore how to fight through the mysteries of IoT in the most expedient way. It was April last year when I wrote about how we were going to fix the board shortage. 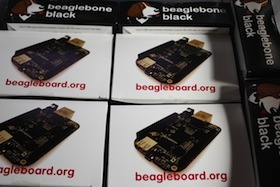 Demand and activity have only increased since then, but the additional production capacity has paid off and there is now inventory of both the official BeagleBoard.org BeagleBone Black manufactured by CircuitCo and the logo-compliant BeagleBone Black manufactured by Element14 in every major region. In the US, major electronics retailers are stocking BeagleBone Black including a Make-produced getting started kit at Radio Shack and a $39.99 sale at Micro Center for most of this month. Now that boards are out there, we can spend more time supporting efforts to promote getting the most out of them. The large number of books available now is really starting to help that. Read more to find out about some of the current promotions and get a link to the current list of available books. The missing software reference manual! The process of saving off the eMMC to duplicate on other boards has been a hot topic recently. 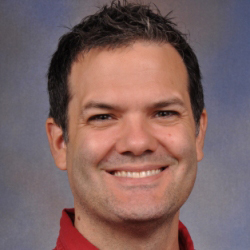 For Robert's Debian images, there's a simple script you can run. To clone arbitrary images, you can use a minimal Linux system with a script that runs at boot to clone the disk image to a file. Robert has been busy fixing issues and updating packages. We seem to be getting down to the last few items to update, so the release could be any day. 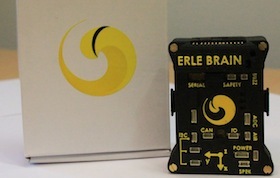 Erle-brain is an open source hardware Linux autopilot for making drones. Not only does Erle-brain handle the flying issues; it runs on the Robot Operating System (ROS) and consists of a BeagleBone Black and a PixHawk Fire Cape. The brain also comes with a Debian image flashed and the latest ready-to-fly code. LEGO® lovers and Makers rejoice! FATCATLAB has created a BeagleBone Black attachment for the MINDSTORMS EV3 model—the EVB. This upgrade gives the newest version of MINDSTORMS monster processing power in an easy-to-use board.